The Apostolic Workman. A Sermon, Preached at the Consecration of the Rt. Rev. 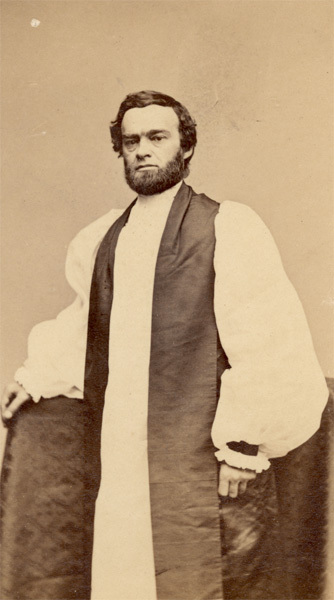 Robert Harper Clarkson as Missionary Bishop of Nebraska and Dakota. Chicago: Street, Pearson & Co., 1866. A Sermon Preached at the Ordination of Presbyters, in Trinity Cathedral, at Omaha, Nebraska on Sunday, January 15th, 1871. By R. W. Oliver, D.D., Professor of Divinity, &c., at Nebraska College. Published at the special request of the Bishop of Nebraska. Philadelphia: King and Baird, 1871. Lincoln: Nebraska State Historical Society, 1885. Church Work in Nebraska and Dakota. New York: Sanford, Harroun & Co., Printers, 1867. Response of Bishop Clarkson to Bishop George Augustus Selwyn's Jubilee Address to the Missionary Society of the Protestant Episcopal Church in the United States of America, Baltimore, Maryland, October 6, 1871. Extracted from The Churchman, New York, Daily Edition, Monday, Oct. 9, 1871.